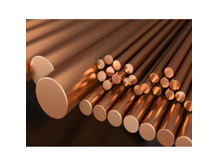 Our competency lies in offering our clients an excellent quality range of Beryllium Copper Round Bar. We are the supplier of Beryllium copper sheet, strips , foil , tube , plate , pipe , wire , welding rod etc if you need please let me know your requirement. Grade - c 17200 , c 17500 , c 17510 and others .